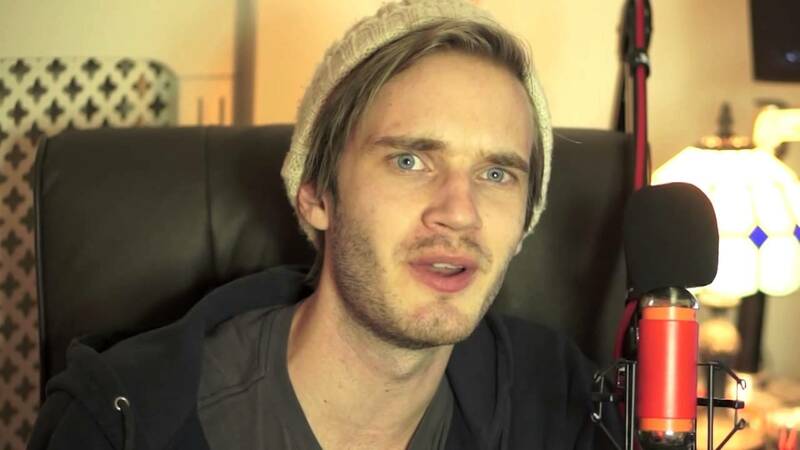 This week, in weird gaming news: Felix Kjellberg, also known as the ridiculously popular YouTuber PewDiePie recently had his Twitter account suspended for joking that he’d joined ISIS. While jesting about joining a deadly terrorist group is usually laugh-a-minute stuff, Twitter obviously decided that wasn’t the case – but how did all this weirdness start? Funnily enough, it all began because PewDiePie decided to remove his Twitter verification, ‘as a joke’ towards users who see it as a status symbol of some kind. 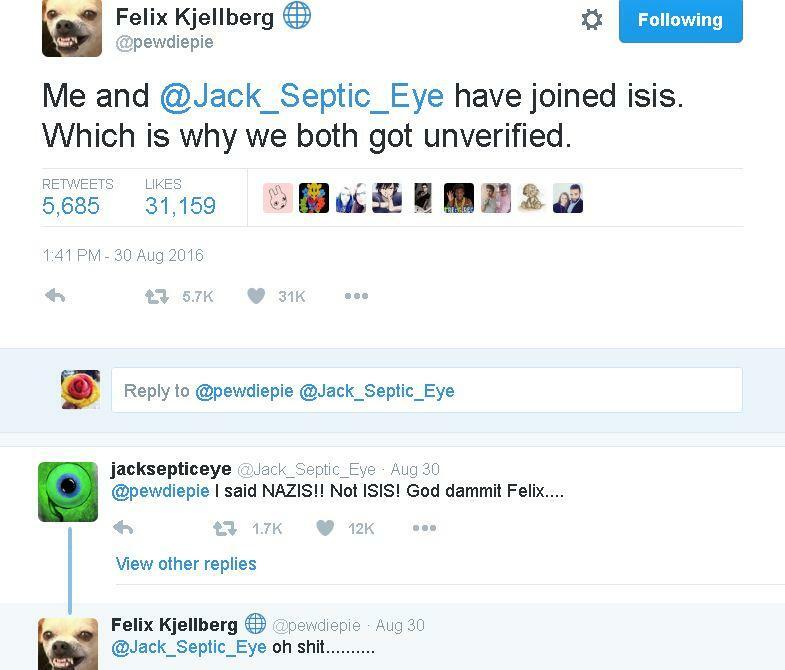 Soon after, an account parodying Sky News claimed that PewDiePie lost his verification because of ‘suspected relations with ISIS’. As a result of that article, the YouTuber thought it’d be funny to reference the claims in a tweet, ‘confirming’ that he and fellow YouTuber JackSepticEye had indeed gone over to ISIS. Obviously PewDiePie forgot that the internet is often a scary and very stupid place. His account was reinstated, but it really was (obviously) a whole lot of fuss over nothing. 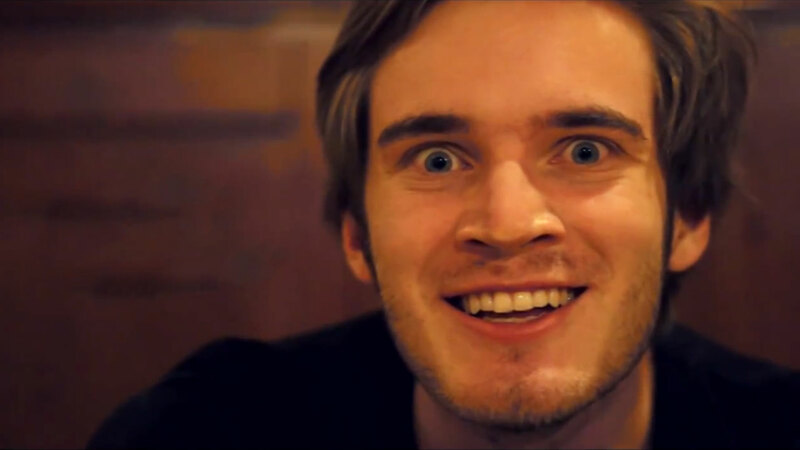 PewDiePie explained all the recent madness himself in a new video, which you can watch below. In it, he confirms that everything is fine, and that perhaps social media is getting out of hand. I’m fairly certain social media is making us all retarded. Yesterday, Twitter went full retard. Instead of a blue checkmark, PewDiePie now has an image of a globe next to his name and all his tweets – something he also suggests his followers should get.